What flavors will entice consumers in 2012? Think ethnic fusions, authentic' spice blends and exotic fruits. 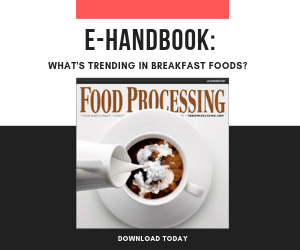 The combination of the latest economic roller coaster and the directly opposing forces of indulgent eating and demands for healthier offerings turned the art of predicting food & beverage trends into a bigger challenge than ever. So it's helpful to frame the problem within the greater context of general trends that will impact the food & beverage market in the coming year. Consumers are getting older but want to feel younger. They're attracted to "pure," "natural" foods that are premium in quality yet within their (much tighter) budget. Also, consumers want to "buy green" and local when possible. They also want foods and beverages that are rich in protein and with health claims that are grounded in science. Yet they feel justified in an occasional indulgence. There will be some niche markets that are hard to measure, such as gluten-free. "One can recognize from many markets, despite [the economic] crisis, the consumer is looking to have more confidence in a food product," says Thierry Gay, vice president of food-enhancement systems for Vitiva (www.vitiva.eu), a Slovenia ingredient supplier. "As a result, the premium segment is growing with clean labels or ‘friendly' labels. "Even discounters are now looking for high quality products," he continues. "For instance, recently the EU supermarket chain Lidl (www.lidl.co.uk) asked all its food manufacturers to remove synthetic beta-carotene. We also see a great interest in shifting from synthetic sweeteners -- such as aspartame, acesulfame K and saccharin -- to stevia for the same reasons: friendly labeling and purer and ‘cleaner' products." Gay suggests that with stevia, retailers and food manufacturers have the opportunity to make a "positive marketing statement, educating consumers by explaining reasons why they reformulated with a natural-origin sweetener." He also points out this will increase consumers awareness for products that include stevia. "I can foresee a booming in launching products with stevia in parallel to this increasing awareness," he declares. PepsiCo's Tropicana division launched Trop50 orange juice in 2009, replacing half the sugar (and half the calories) with stevia. Healthy Beverage Co., which showcases organic and fair-trade teas and sparkling green teas, has been using stevia for its zero-calorie Steaz Teas. Other taste trends on track to please palates in the coming year include merging cultures (chipotlé-lemongrass chicken, anyone? ), getting back to nature with earthy root vegetables, tree fruits and nuts, and bringing comfort flavors to new foods and beverages." "Spicy ethnic flavors are growing in popularity," says Ed McIntosh, marketing manager for Flavorchem Corp. (www.flavorchem.com), Downers Grove, Ill. "Ethnic flavors are hot-hot-hot. Flavorchem released a new line of Hispanic flavors, recognizing the rapid growth of this demographic in the U.S.
"New concepts are coming through the changing demographics," he continues. "We're seeing spicy ethnic flavors like cracked pepper, chili lime, chipotlé, jalapeño and ‘buffalo wing' flavors used in a variety of snack foods. They also are being used in seeds, nuts, chips and even nontraditional snack foods like dehydrated vegetables and wasabi peas." "Robust ethnic flavors are going up in America," agrees Meera Vasudevan, executive vice president of Stamford, Ct.-based Preferred Brands International (www.tastybite.com), makers of Indian meals and meal-kit components. "Consumers are increasingly adding spices and flavors from around the world into their daily meals. Whether it's aromatic spices from India or Asia or a variety of chili peppers from South America, I see America 'spicing it up' in 2012." According to Flavorchem's McIntosh, top flavors for savory snack categories are varietal cheese flavors, barbecue, wasabi and garlic. "Six months ago, barbecue-type flavors were not even listed," he says. "Now, they're in the top 10." "Flavors of the Far East are fusing into American palates," says Elliot Chung, senior brand manager for CJ Foods Inc. (www.cjfusa.com), Commerce, Calif. The interest is moving beyond Chinese, Vietnamese and Thai. Citing research by consumer flavor-trend experts such as Baum + Whiteman LLC, Chung reports Korean food will "soar as one of the hottest dining trends in 2012, with items like bulgogi beef sliders, kimchi quesadillas and galbi [grilled ribs] tacos." CJ Foods is making Korean cuisine more accessible to everyday American chefs through its new Bibigo line, an assortment of high-quality ingredients such as gochujang (hot chili paste) and Korean BBQ sauces for making traditional dishes like bulgogi and kalbi, or for adding a new twist to everyday foods such as sandwiches with gochujang spicy mayo. "The popularity of Korean food is growing tremendously in the U.S. due to unique, bold flavors of Korea that consumers and young chefs alike are looking for," emphasizes Chung. "Many chefs are starting to incorporate the spicy flavors of Korean cuisine into their dishes, influencing restaurant menus and the public." Everything old is new again when it comes to spices. "There's a renewed interest in creating authentic spice blends," says Jeffrey Troiola, corporate chef of research and development for Woodland Foods (www.woodlandfoods.com), Waukegan, Ill. Authentic spice blends have become such an important trend that Woodland Foods has extended its business into custom preparing blends for customers, putting master chef power behind the creativity of own their blends. For example, dried curry leaves are a key ingredient in curry powder mixes and may become part of wholesale or retail curry kits for clients to offer customers desiring quickly assembled exotic dishes. "Moroccan flavors are popular this season, and they are rich in peppers," notes Troiola. Peppers are becoming a hot item in flavors for the new year, he adds, but cautions "not too hot." Bhut Jalokia, aka "ghost" chilis, are having a run as a fad, but are more of a gimmick than a flavoring, he says. "They can be dangerous to work with," says Troiola. The more popular peppers that can provide punch to flavor blends are the Aleppo, Marash, and Urfa. As a side note, a third stimulus for the use of stand-out spices and similar flavors is spurred by the attention still being paid to reduced sodium in foods. Although there is growing recognition that sodium intake has little or no impact on the physical condition of those who are healthy, demand is still around. Chef Troiola points out an excellent solution is for manufacturers to be more proactive in the use of spices. "Season [with herbs and spices] and use salt as a final touch, then sodium reduction takes care of itself," Troiola says. The interest in traditional and custom spice blends may have been stimulated by both the desire for more authentic ethnic food as well as the interest in locally grown food. These two ways of "getting back to basics" have stimulated growth in community-targeted flavor systems. "When creating interest in local foods, spicing them with exotic spices from distant corners of the Earth seems to be perfectly consistent with locavore [a person interested in eating food that is locally produced] traditions," says Troiola. "We expect spices will come from around the world, even when we are buying foods locally." In other words, the melting pot that is today's U.S. could be said to be as literal as it is figurative. "Chili peppers like Shishito, Padron and fresh cayenne are newer varieties to the processing industry, and the heat and spices they add to dishes is a building movement," says Robert Schueller, vice president of communications for Melissa's World Variety Produce, (www.melissas.com), Los Angeles. "Also gaining a national interest is the Hatch chili from New Mexico. Kale has been a megatrend in the last year due to popularity of the green at farmer's markets in the spring and summer. Heirloom tomatoes of all shapes and sizes are trendy still (Baby Mix, Heirloom Roma, Black Cherry too). Other flavor trends coming on board in the New Year, according to Schueller, include citrus, especially from varieties such as blood oranges, cara cara oranges, kumquats, Meyer lemons, seedless lemons, key limes, cocktail grapefruit, Satsuma and Jeju mandarins (a new entry into the industry). Another very new citrus Schueller sees taking off is the "finger lime," also called "citrus caviar," so far limited to chefs. The exotic fruit from Southeast Asia is the size of a fingertip with drupelets that resemble caviar and have a powerful, floral lime flavor and aroma. Also in the exotic fruit category are sweet young coconuts, prized for their coconut water and soft pulp, and the red Caribbean papaya. "These showed strong gains in 2011 and are set to grow a lot more in the 2012 season," adds Schueller. "Calling out the specific varietal of the flavor, especially in citrus products, gives unique nuances and sophistication to products," adds Jessica Jones-Dille, associate director for Wild Flavors Inc. (www.wildflavors.com), Erlanger, Ky. "Fruit varietals and floral flavors are growing, especially as nuances of floral flavors in combination with fruit notes to make signature and often exotic flavor profiles." Some examples are lemongrass and mango, lavender and pear, or lime and hibiscus. "Exotic fruits can often have inherent floral notes, and this ties with that trend," she says. Jones-Dille also points to the increasing attraction of "retro-inspired flavors." She describes retro marketing and advertising as staying on-trend. "Flavors can easily be designed to correlate with these approaches. Wild developed a line of 1950s-inspired cocktails and appetizers, as well as sherbet-type flavors that evoke a sensation of those days gone by." Tart cherries are a "home-grown" fruit which has taken on the personality of an exotic. Their super-high ORAC value boasts of powerful anti-inflammatory properties, plus their dazzling color makes for a highly marketable combination of "better for you" vitamin and antioxidant source and cherry-pie comfort-food positioning. "Tart cherries have emerged as a major superfruit," says Jeff Manning, chief marketing officer of the Cherry Marketing Institute (www.choosecherries.com), Lansing, Mich.
"Their sweet-tart flavor and naturally functional properties put them right on target with today's food and beverage trends. It's no coincidence tart cherries are showing up in more new products and menu items, and they will continue do to so in 2012." Meanwhile, the perennial star of the flavor trend, never going out of style yet always able to adapt to the latest trends: chocolate. The universal favorite is on track to lead gustatory fashion again this year, branching out into different accents and combos. "This year, expect to see a lot of novel ingredients paired in adventurous flavor combinations: ultra-dark, premium chocolate; cake and truffle pops; and products made with sustainably sourced cocoa," says Joe Sofia, confections specialist for Cargill Cocoa & Chocolate (www.cargillcocoachocolate), Lititz, Pa. "Ultra-premium dark chocolate continues its double-digit rise in popularity as consumers reach for a simple way to indulge rather than simply ‘consume.' The high cocoa content offers a rich taste experience and an association with the health benefits of antioxidants. Add an exotic or ethnically inspired umami or health-boosting inclusions, and you've got a highly marketable product." Finally, some trendmeisters in R&D have picked up on the possibilities of combining flavor trends to great effect. "New, wild flavors, textures and forms are driving new product offerings as consumers search for new taste experiences," concurs Sofia. "On trend again this year, look for sweet/savory flavor fusions, caramel clusters made with roasted, salted toffee-coated pecans, or Parmesan-stuffed dates enrobed with 72-percent bittersweet chocolate."